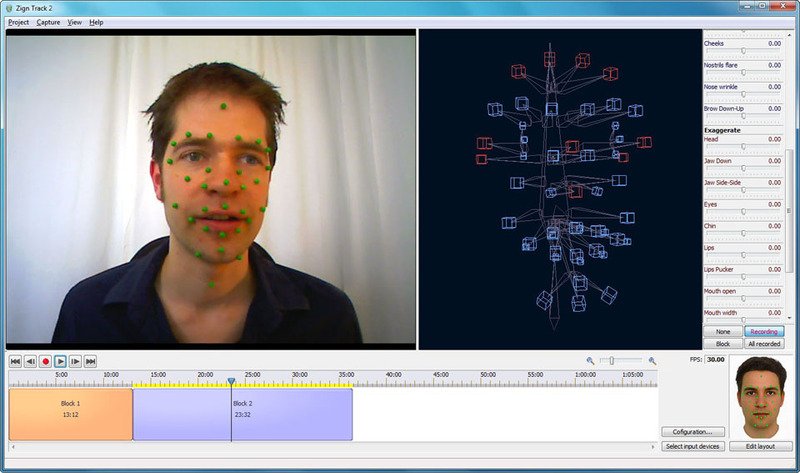 Zign Track 2 is the fastest and easiest way to create facial motion capture in real-time at your home or studio, using a regular DV or web camera. 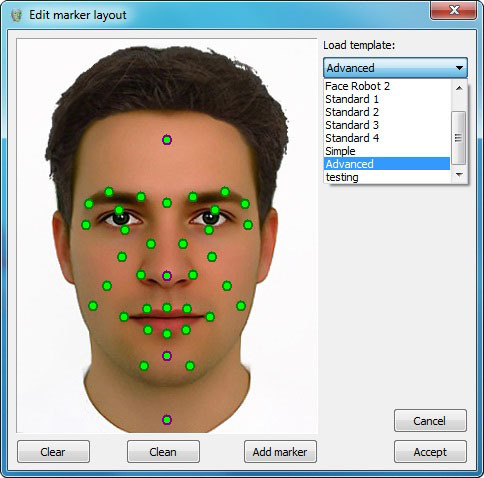 Motion capture with Zign Track 2 does not require any special skills or expensive equipment. You can use any webcam or DV camera, connect it to your computer and start capturing. Or, you can record your video in advance, load your video in Zign Track and process it. 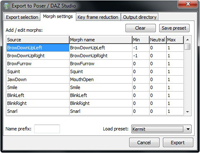 Select a marker layout from a list of presets or create your own custom layouts. Zign Track 2 automatically detects your markers as soon as they are visible. If small tracking errors occur, Zign Track 2 will detect these errors and correct them while you capture. Cleaning up errors yourself is hardly needed anymore. With Zign Track 2 it is no longer needed to specify the placement of each marker in your video. Zign Track 2 will search for markers based on the selected marker layout and automatically detect them. 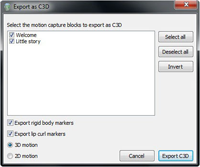 Zign Track 2 exports to the common motion capture formats BVH, TRC and C3D. 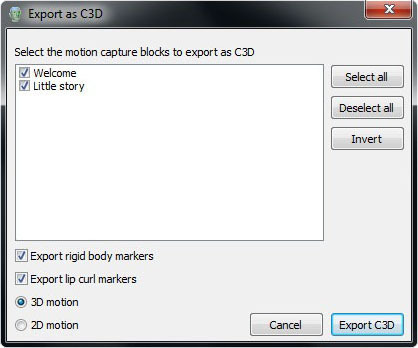 These general motion capture formats contain bone or marker data and are supported by most 3D animation applications. 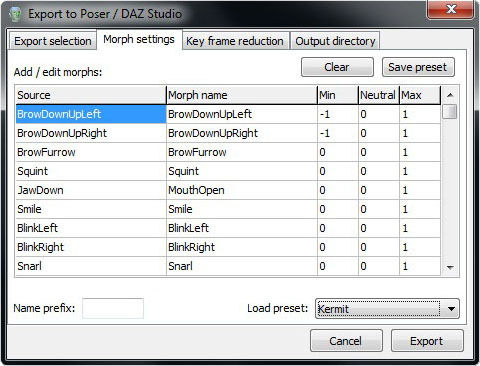 Zign Track 2 also exports to the morph based PZ2 file format for Poser® and DAZ Studio™, and a combined bone/pose driven ACT file format for Animation: Master.